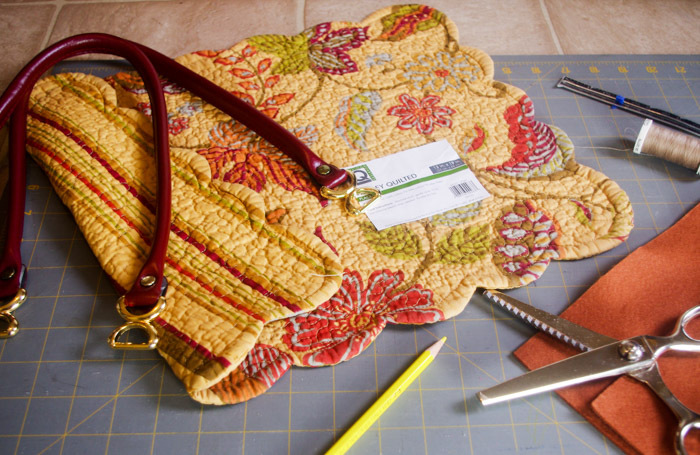 Make a unique placemat into a stylish purse from this simple DIY pattern. Most every woman I know carries a purse around. Mine is filled with keys, shopping cards, receipts, lipstick and coupons. The modern purse came about during the Industrial Revolution when so many women traveled by railway. Their practicality to carry things from a far distance overruled their looks. 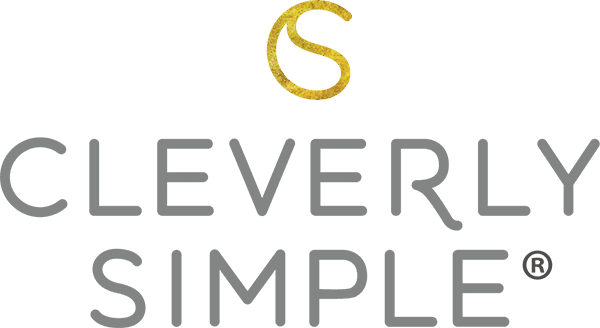 Today, it seems a pretty purse around our shoulder becomes part of our outfit; a way to look put together…and who says we can’t have it both ways? In the busy 21st century, nothing prettier could be more practical. 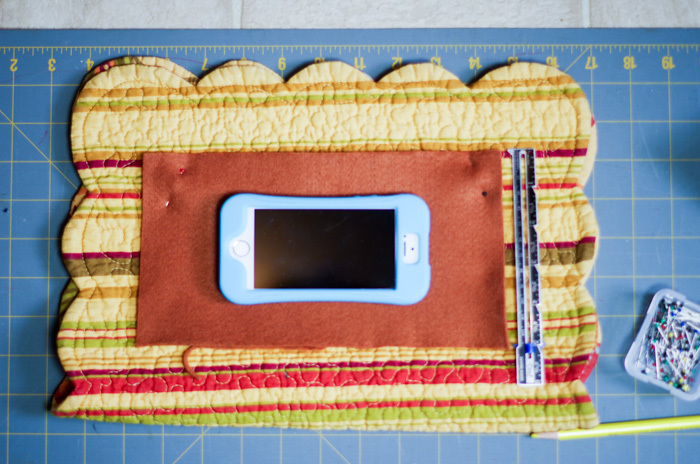 Today, I’m going to show you how to make an inexpensive purse from a placemat…. yep, a placemat. I love to make creations from quilted placemats. 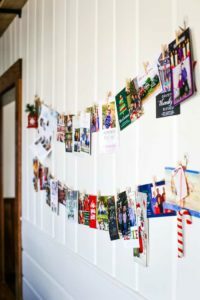 You won’t find one on our dining table, but you’ll see them strewn about my sewing room. 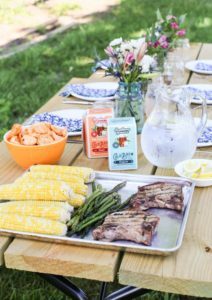 Last spring on Cleverly Simple, we created a fun placemat organizer for special keepsake items. Today’s purse is washable, has a pocket for your Smartphone and nobody will ever guess it is made from a placemat! 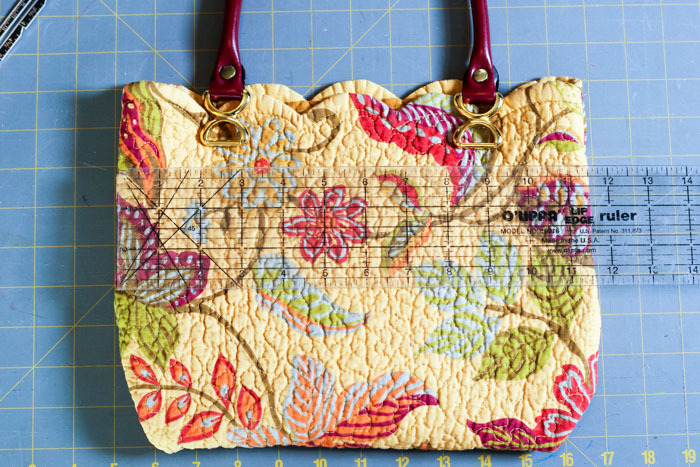 Are you ready to make a Placemat Purse with me? Reversible quilted placemats come in an array of beautiful patterns. Some of them remind me of Miss Vera! 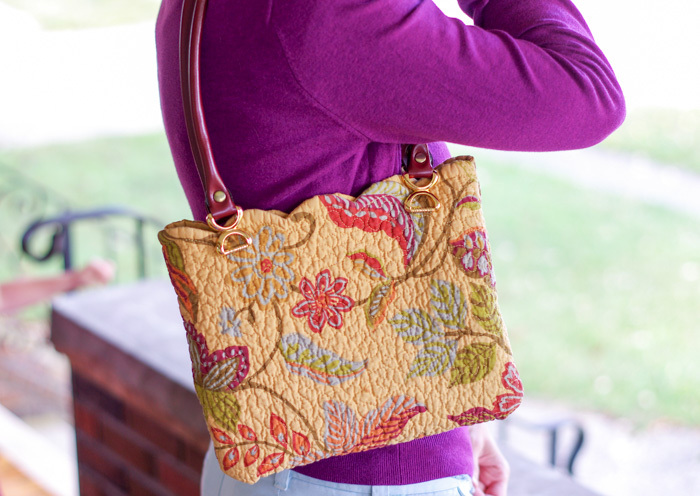 The autumn design I am using today retails for 9 dollars on Amazon, but if you can find one at garage sales or thrift stores, even better! Since every purse needs to be carried, I purchased a pair of 25″ faux leather handles for less than 6 dollars on Amazon. 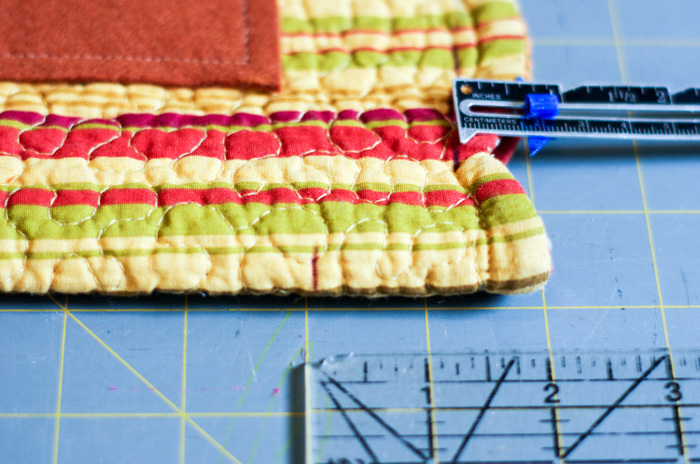 The other supplies you will need include a ruler, marking tool, needle and thread, pinking shears and your handy dandy sewing machine. 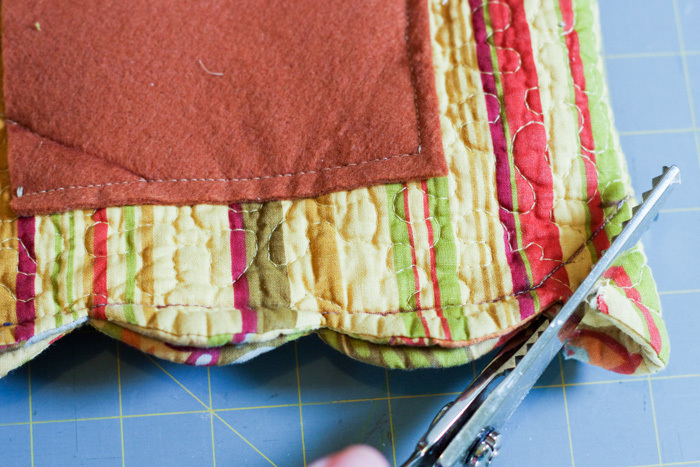 To begin creating your purse, fold your placemat wrong side out “hamburger style” until the edges match. 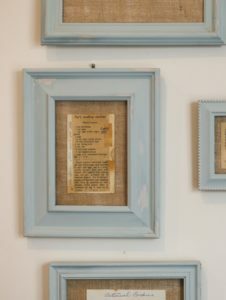 Next, make a cut from a standard 9×12 inch piece of felt for your pocket. Felt is perfect for this because it’s lightweight and doesn’t fray. The size of your pocket will depend on the size of your phone. For my IPhone 5, I cut off 5 inches from the length of 12 inches, but kept the width of 9 inches. Don’t worry if the pocket seems too big. We will make an adjustment. 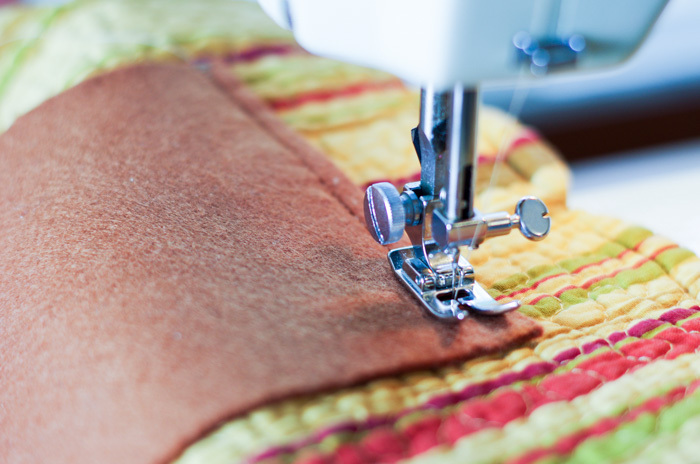 Using an all purpose foot, sew down the sides and bottom of your pocket, creating a standard 1/4 inch seam allowance. To make my phone fit more snug into the pocket, I sewed a diagonal line from the side seam to the top of the pocket. Here I marked 1 1/2 inches down each side seam and I marked 1 inch in along the top. I connected the markings with stitches. By doing this, I have a nice size pocket, but a smaller opening at the top to keep my phone more secure. 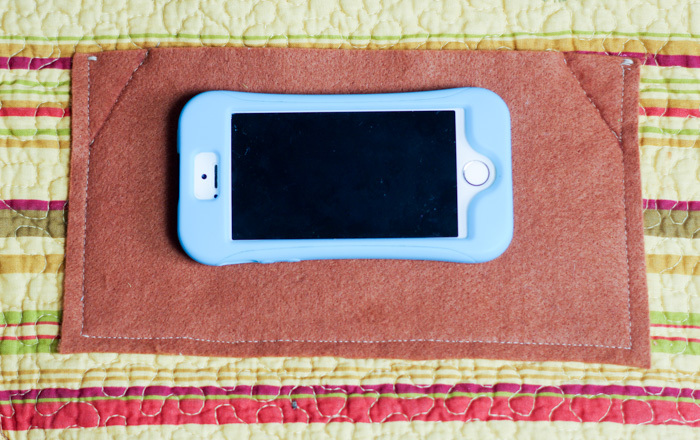 If you prefer a pocket that closes, you can add velcro or snaps to the top. We are now ready to sew up the sides of our placemat. Starting at the top opening, make several markings 5/8 inch from one side edge and down until you get to 1 1/4 inches from the bottom fold. Draw a line connecting your 5/8 inch markings. Next, make a second mark at the bottom fold, 2 inches in from the side edge. Draw a line connecting the bottom most 5/8 inch to this second mark. 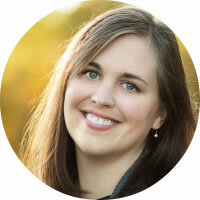 You are making a diagonal line that will help shape our purse so it’s not so boxy. Repeat these same markings and lines with the opposite side. 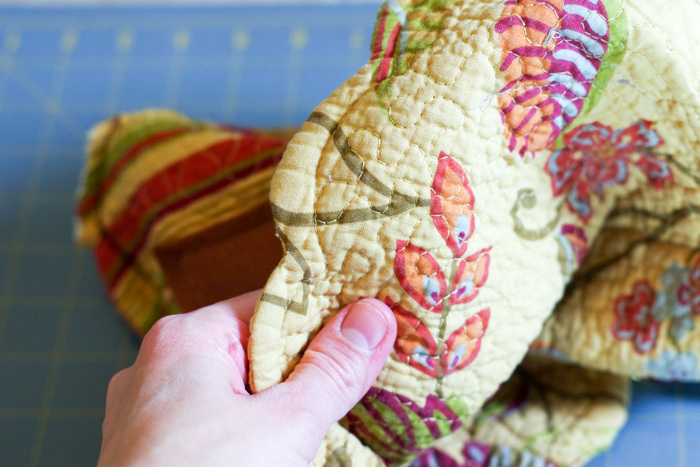 Sew both sides, pivoting your sewing foot when you get to the bottom angle. 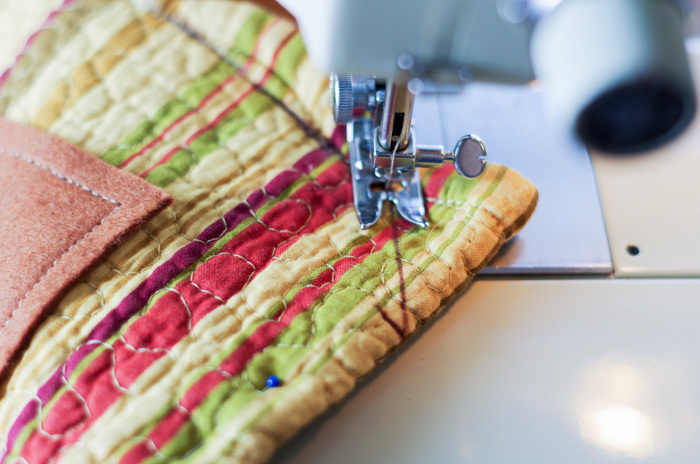 Be sure to backstitch at the beginning and end of your lines to secure them. After turning our purse right side out, the bottom corners will be quite bulky. To fix this, use pinking shears to cut them down. 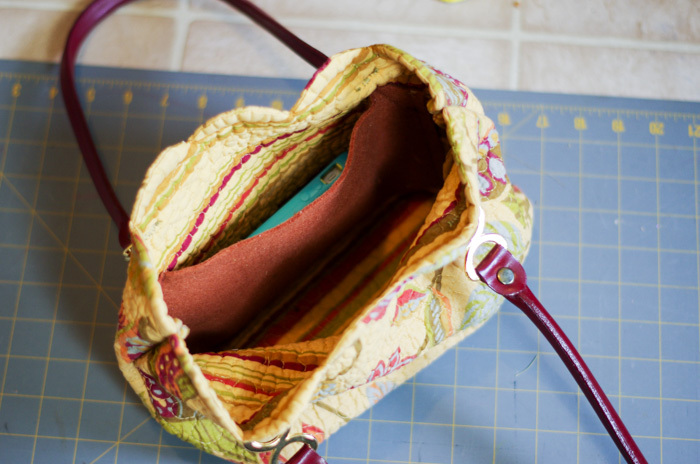 Turn your purse right side out and enjoy your work! Be sure to push out all the seams with your fingers. Almost finished! What’s a purse without handles, right? I like the purse to cup around my shoulders so I’m using 25 inch handles. But do what you like! Before attaching them, I measured the total width across our purse to find our halfway points for even spacing. 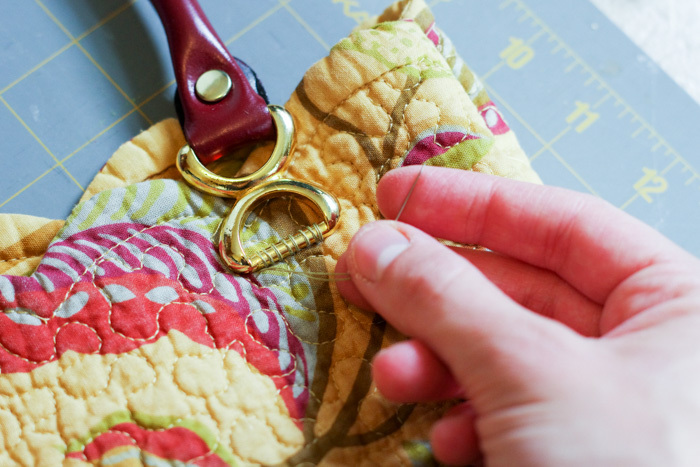 Using doubled up heavy duty thread, hand sew your handles onto the outside of the purse. Here is an “aerial” shot of our finished creation 🙂 Our phone fits snuggly inside our pocket and there is plenty of room for those keys, shopping cards, receipts, lipstick and coupons. 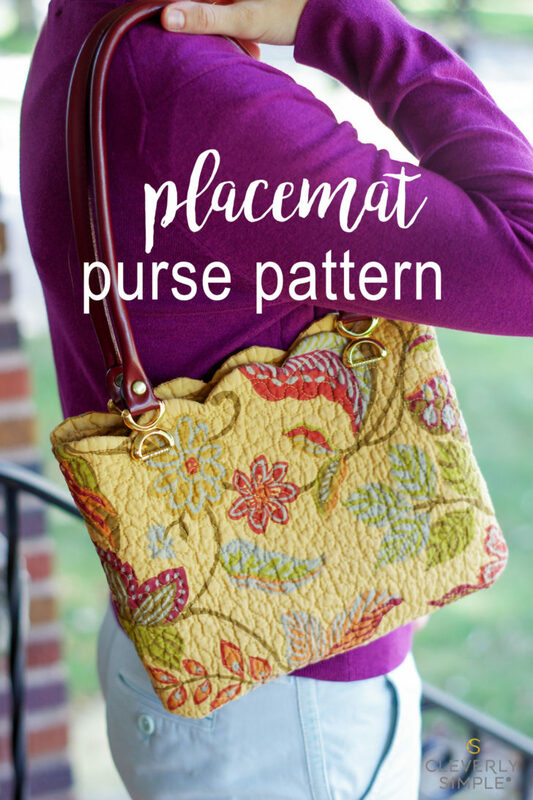 A beautiful and practical purse made from a placemat. Your secret is safe with me! Now go fill it up and live life to the fullest. edges .It appears your was scalloped also. Did you cut the scallop off the sides? 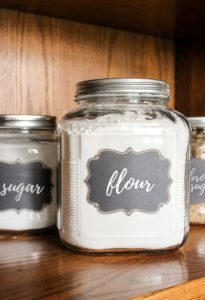 Is there a way to stiffen the top edge with metal or plastic so that it doesn’t collapse together when hanging by the handles? Placemats are oh so fun!